No Man’s Land (2012-2013) tells a story about a place in the very high north through a journey of preconceived images, myths, histories and first hand experiences. 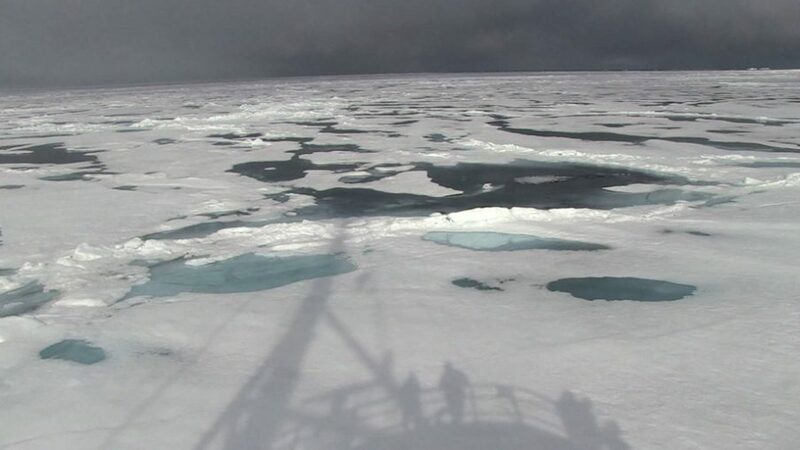 The starting point is a trip on a research vessel in the Arctic Ocean with scientists, where questions concerning the inconsistency and discrepancy between to see and to know, emerges. No man’s land comprises a mix of my own material: film, photo and interviews, together with a range of sampled material from movies, documentaries, books and encyclopedias. The story is narrated by a male who references a woman reporting from a ship at the top of the world. Through a combination of her experiences, his thoughts, stories of failed expeditions, collective amnesia and rearranged imagery, a fragmented story is narrated through a collage of place and time. 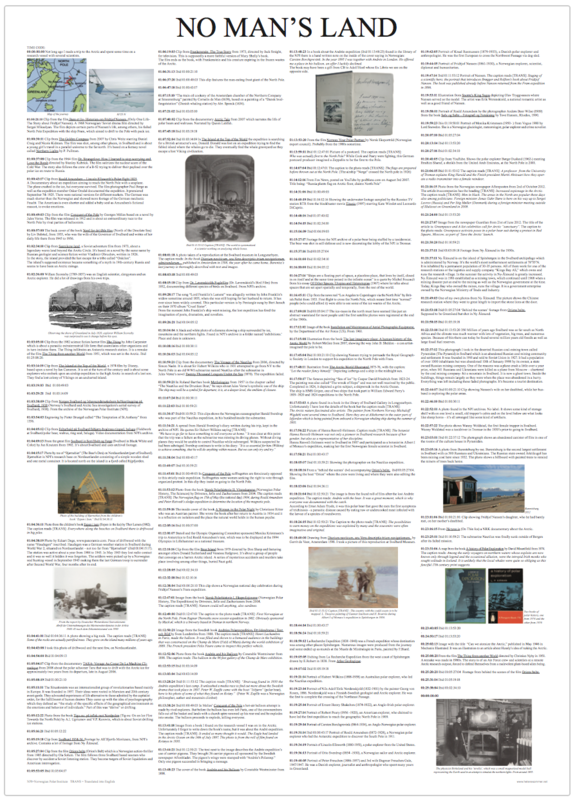 As a supplement to the video is a poster (50 cm x 70 cm) with footnotes to the video, where all sampled material, extra material and comments are included.